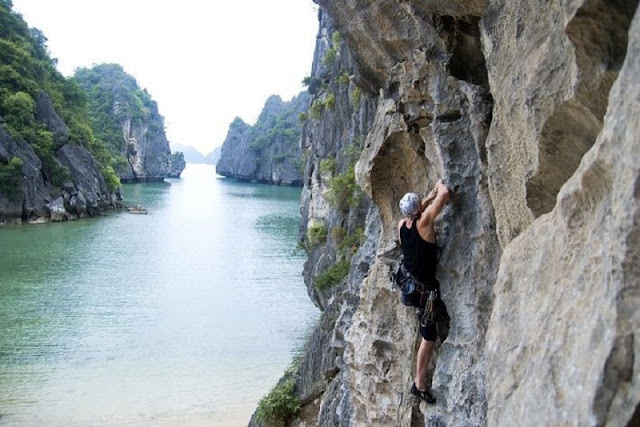 Adventure climbing movement on the island is attracting a lot of tourists, especially foreign tourists to travel to Cat Ba Island. Conquering these cliffs is a sport always brings thrills for visitors, the crags in Cat Ba will enable visitors to experience new challenges. 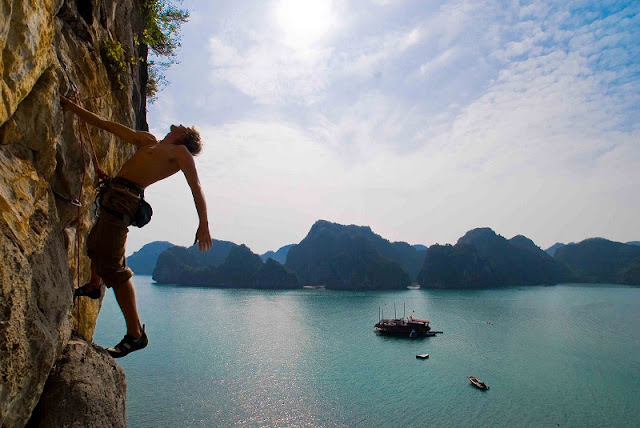 Moreover, rock climbing is an activity definitely bring something new visitors, a highlight for a romantic trip in Cat Ba. 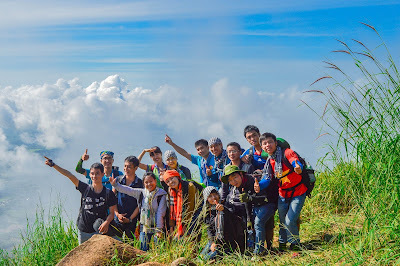 Besides the foreign guests, appeared many young Vietnamese have the same passion for discovering affinity conquer steep cliffs on Lan Ha Bay, in the area or go deep into the terminal Beo Valley Alliance (commune Pearl). 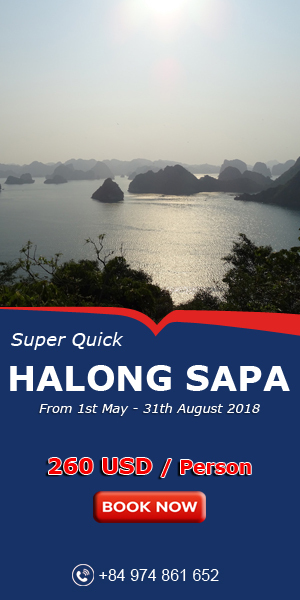 Besides the craggy cliffs, the Cat Ba also has many beautiful hiking, poetic and has many relatively easy climb, which is the preferred position of young love, but discover new approaches to art and no technical climbing skill as Tien Ong island is located on the island of Lan Ha Bay with a small cave and the rest is rock with a large stone, is an ideal point of climbing a low cliff, online simple climbing. 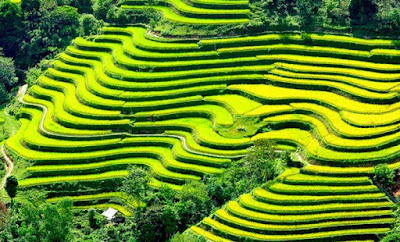 A lot of people think, to Cat Ba, make sure to rest disengaged at a certain resort, enjoying seafood specialties tourist attraction but the Cat Ba archipelago would be more interesting if "mortification" with craggy cliffs. 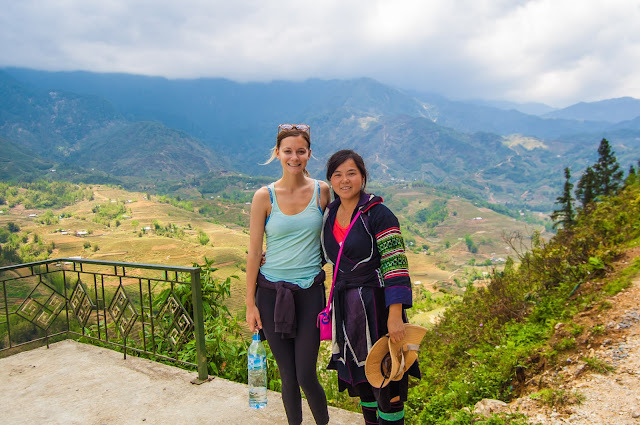 An ecological tour combines adventure trekking on Cat Ba Island 3 days would be the perfect choice for your summer.